A miscarriage can be as emotionally catastrophic as it is scientifically complex. 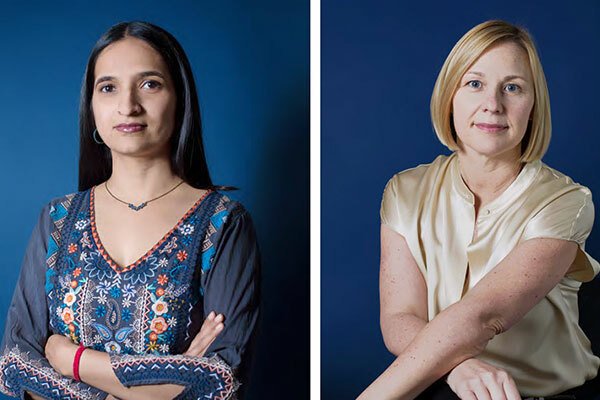 While there are no comforting answers, researchers are working to better understand the underlying causes of this life-changing complication. Two simple pink lines on the plastic stick seemed to foretell my future. Pregnant, the test showed. Not that I’d been trying, but I hadn’t not been trying. Suddenly, I morphed from a determined vegetarian into someone who craved meat as if I were a famished lioness. I started voraciously reading about what pregnancy was doing to my body and how to take care of the tiny speck growing inside me. And I fell madly, irresistibly in love with the idea of becoming a mother. I was about six weeks in and proceeded as a Normal Pregnant Person. At 12 weeks, I noticed some blood; a trip to the doctor confirmed that I would miscarry. A “blighted ovum,” she said. While the embryo had attached to the uterine wall, it did not develop past the very early stages. It had taken a few weeks before my body got the message, and it continued to operate as if I were pregnant, offering a trifecta of symptoms: morning sickness, breast tenderness, extreme exhaustion. That weekend, I passed a lot of blood and tissue with the help of some violent cramping, and I nearly required a blood transfusion. At the end of it all, my hopes became dashed dreams. I felt painfully alone and awkward, watching as friends’ bellies bloomed to full-term pregnancies and then, voila, they were parents. But, really, it wasn’t just me. Infertility and miscarriage strike young and old, rich and poor, celebrities and common folk. There’s a #ihadamiscarriage social media presence started by Jessica Zucker, PhD, a psychologist in Los Angeles who specializes in women’s health issues, to help normalize the experience. Even former First Lady Michelle Obama had trouble conceiving and turned to in vitro fertilization after a miscarriage, she reveals in her memoir, Becoming. While many people believe that miscarriage is a rare complication of pregnancy, the reality is that 15-to-20 percent of clinically recognized pregnancies — 750,000-to-1 million cases annually — end prematurely. One large Danish study reckons that more pregnancies — including ones that are not clinically recognized — end in miscarriage than go to term. I wanted to know, more than anything, what I could have done differently to keep that baby growing inside me. I kicked myself for drinking too much coffee and the oaky cabernet I’d enjoyed with dinner before I knew I was pregnant. I wondered if I should have done more yoga. Or maybe I should have done less yoga. 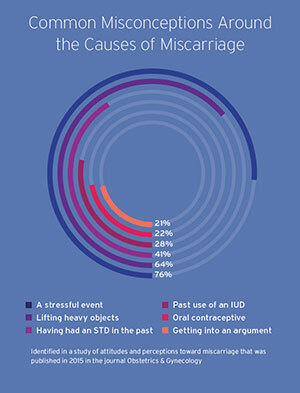 There are so many misconceptions around the causes of miscarriage. Among ones identified in a study of attitudes and perceptions toward miscarriage that was published in 2015 in the journal Obstetrics & Gynecology are: a stressful event (76 percent); lifting heavy objects (64 percent); having had an STD in the past (41 percent); past use of an IUD (28 percent) or oral contraceptive (22 percent); getting into an argument (21 percent). There were no satisfying answers. Ultimately, the reason for miscarriage is as simple as the underlying causes are complex: The embryo doesn’t form properly and the body eventually rejects the tissue. My miscarriage at 12 weeks felt like an abdominal apocalypse, and I ended up going to the hospital as I turned translucent from loss of blood. My second and third pregnancies, years later, were nearly over as soon as they began. They ended at around seven or eight weeks, barely registering and feeling more like a heavy period than anything else. 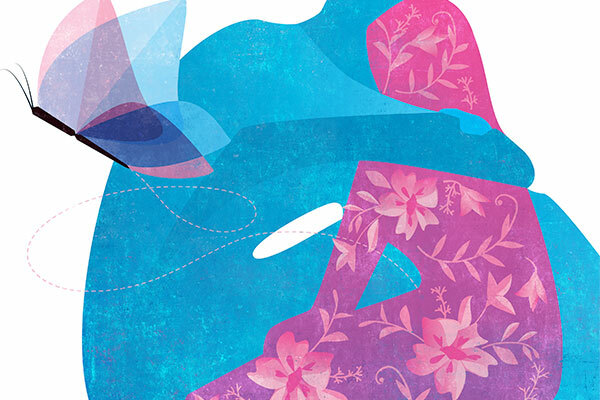 TALKING WITH A WOMAN AFTER A MISCARRIAGE can be among the most difficult conversations that a physician has with her patient, says Aparna Sridhar, MD (FEL’13), MPH, an OB/GYN at Ronald Reagan UCLA Medical Center. The woman often is filled with guilt and recriminations, as she wrestles with the idea that she did something wrong or that something is wrong with her or with her partner. “Even if everything appears to be normal, miscarriages can happen. We can’t always determine a cause, especially for the first miscarriage,” Dr. Sridhar says. I, too, scanned my memory to try to remember what I might have done to bring on my miscarriage. But it probably wasn’t any of the things that my mind landed on — yoga or wine or any number of other small potential infractions I’d committed. A miscarriage is much more nuanced than that. Researchers are learning more and more about the process that cells undergo following conception, and how, in some cases, things can go wrong. At UCLA, Amander Clark, PhD, chair of the Department of Molecular, Cell and Developmental Biology and a member of the Eli and Edythe Broad Center of Regenerative Medicine and Stem Cell Research at UCLA, and her team are examining what happens in the very earliest stages of development. They have looked at the epigenetic changes — ones not due to genetic factors — in stem cells of a new embryo that can make or break a viable pregnancy. In their earliest stages, embryonic stem cells are in what is called a “naive” state and can turn into any cell in the body. At about two weeks, when the embryo is supposed to implant to the uterine wall, the cells move to a “prime” state and start their journey to become specific cells with specific functions throughout the body. But if there is a glitch along the way, the cells likely will not become a viable embryo. “Human reproduction depends on high-quality gametes and a perfectly timed cell and molecular program for initiating embryonic development. Getting all of this right is not an easy process,” Dr. Clark says. Studying the causes of miscarriage on a cellular level in humans is difficult because such research traditionally has been conducted on animals, mostly mice. “The cell and molecular requirements for human embryo development are not well-understood. If scientists could study the pre-implantation stages using embryos donated to research and model the peri-implantation stage using stem cells, this could help to better understand the causes of miscarriage,” Dr. Clark says. In her research, Dr. Clark looks at the way DNA is compacted into a cell’s nucleus. In order for genes to turn on, tiny regions of DNA in the nucleus must de-compact, so that gene-regulatory proteins can bind and send cues to the neighboring gene. One of those proteins, TFAP2C, is essential in naive cells. When scientists removed TFAP2C from the naive cells with the gene-editing tool CRISPR, the response of the cells was altered and the naive cells were lost. Therefore, if TFAP2C does not work correctly during the first two weeks of development, the cells of the human embryo would be lost and a miscarriage would occur. THERE ARE DIFFERENT TYPES OF MISCARRIAGES. The kind I experienced, a blighted ovum, is the most common. But “biochemical” pregnancy losses such as those related to Dr. Clark’s research occur very early, within the first week or two after conception, before a woman may even recognize that she is pregnant. 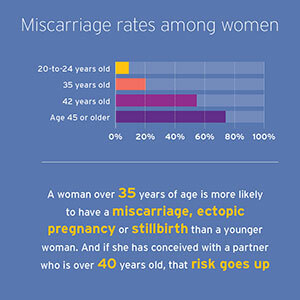 A woman over 35 years of age is more likely to have a miscarriage, ectopic pregnancy or stillbirth than a younger woman. And if she has conceived with a partner who is over 40 years old, that risk goes up. Women 20-to-24 years old face an 8.9 percent miscarriage rate, which increases to 20 percent at 35, 54.5 percent at 42 and to more than 74 percent at age 45 or older. Behaviors that may adversely affect an early pregnancy include smoking, drug use and consuming extremely high amounts of caffeine — 10 or more cups of coffee per day, for example. Dr. Sridhar says a woman who has so indulged before she knows she is pregnant should not panic; just stop as soon as possible. Use of non-steroidal anti-inflammatory drugs such as aspirin or ibuprofen around the time of conception also may be a factor that contributes to miscarriage, according to a 2003 Kaiser Permanente study published in The BMJ. Structural abnormalities of the uterus also are linked with miscarriage. “The classic uterine abnormalities associated with miscarriage have been from congenital malformations of the uterus and fibroids” — tumors of the female reproductive system, says Daniel Dumesic, MD, professor of reproductive endocrinology and infertility. Hormonal influences also can present significant challenges, disrupting ovulation and affecting the ability of the ovaries to make progesterone, resulting in improper preparation of the uterus for implantation of an embryo. Obesity can further complicate the picture, potentially disrupting the quality of the egg and embryo (as well as possibly predisposing offspring carried to term to obesity via a concept known as “fetal programming”). 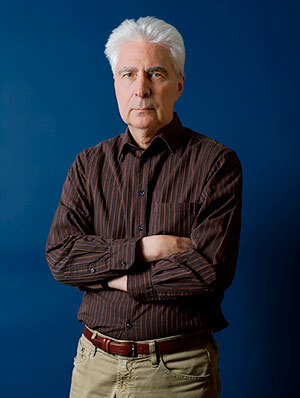 Studying obesity and its effects on pregnancy is a new research frontier, Dr. Dumesic says. In some cases, a woman’s own immune system can be the culprit, treating a normal embryo as if it were an enemy invader and developing antibodies to it, a condition called thrombophilia. The antibodies attack the cells of the placenta, which in turn forms blood clots that interfere with attachment and nourishment of the embryo. Treatment for thrombophilia can be as simple as low doses of baby aspirin to thin the blood. Or the problem can be genetic. If a young woman has had multiple miscarriages, tests for both partners are in order to check for a “balance translocation,” or a problem with chromosomes. It now is possible to perform a genetic test on an embryo fertilized in vitro to determine if it has a normal or abnormal chromosomal number. A reproductive specialist can then transfer a normal embryo to the woman’s uterus, lowering the risk of her miscarrying. DURING THE BRIEF COURSE OF MY FIRST PREGNANCY, I HUNG A LARGE PIECE OF PAPER IN MY OFFICE for people to write down suggestions for baby names. That poster felt like it weighed 100 pounds as I took it off the wall following my miscarriage. I folded it up and stashed it away in the back of a drawer. I was overwhelmingly sad — but also a tiny bit relieved, as the pregnancy had been a surprise, and I wasn’t sure about what future I had with my partner. People were genuinely sorry when they heard that I was no longer carrying a baby, and they offered lovely condolences, which helped to salve my embarrassment at having revealed my pregnancy so early on and then losing it. That 2015 attitudes study, which was conducted by Montefiore Medical Center and the Albert Einstein College of Medicine of Yeshiva University in New York, found that 47 percent of women who had a miscarriage felt guilty, and 41 percent reported feeling they had done something wrong. Forty-one percent felt alone, and 28 percent felt ashamed. The study further found that 45 percent of the women reported that they did not receive enough or the right kind of emotional support, adding to their distress. I felt most of those things. Gordon does a lot of educating about what to expect after a miscarriage. “What’s it going to be like when you go to the market and see a new infant in front of you at the checkout, or your sister or your cousin invites you to her bridal shower, or you hear the baby of your neighbor next door crying? These can be triggers that stir up all kinds of feelings,” she says. She tells a woman that while she did not have control over the baby’s survival, she does have control over what she does in the next few months. That can mean saying no to a baby shower or declining to hang out with friends and family members who have kids until she is ready to reenter that world. It also means reminding women that not everybody knows how to talk about grief. Some friends or family members may disappear, believing that they are giving the woman some space, or they simply may not know what to say. Some women who have lost pregnancies will want acknowledgment; others will want to move forward without a daily reminder. Gordon suggests that a woman returning to work or to a social group after a miscarriage talk with her manager or a friend about how she would like to proceed. “Do you want your colleagues to come up and give you a hug? Do you want people to mention it, or do you prefer that nothing be said? TIME DOES HEAL. After my first miscarriage, my partner and I found a clearing in a nearby wood. As we stood embraced within a circle of cedar trees, I spoke to the spirit of the child I had carried for too short a time and then lost. I told her that if she ever wanted to return, I would be waiting for her. Eleven years later, she found me. Vanessa McGrady lives in Glendale, California, with her magical fairy sprite daughter Grace and their weird little dog. She is the author of Rock Needs River: A Memoir About a Very Open Adoption (Little A Books, 2019).